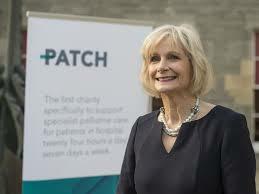 Dr Pamela Levack is Medical Director of Scottish charity PATCH. She has worked for 36 years for the NHS as a GP and for the last 15 years as a consultant in palliative medicine. She was among more than 200 health professionals from doctors, nurses, social workers who attended the one day Hospice Friendly Hospitals Conference in Limerick recently. It marked the first time in Ireland that projects which are making a difference to the care of dying in Irish acute, maternity and children’s hospitals was presented at a conference. Dr Levack reveals here how attending the Hospital Friendly Hospitals conference gave PATCH – the first charity set up specifically to support 27/7 specialist palliative care for patients in Scottish hospitals – inspiration and renewed energy. “The relatives were coming shortly so the death certificate for the elderly lady had to be completed as soon as possible and the mortuary was sited at the end of a remote corridor. Why I wondered, were patients who had died concealed in such an unloved place? Why did I have to speak to the upset family in a windowless room which had been a storeroom hastily cleared for a few chairs. My visit to the recent Hospice Friendly Hospitals national conference in Limerick on 27 April showed how such experiences have been transformed; for patients, relatives and hospital staff. 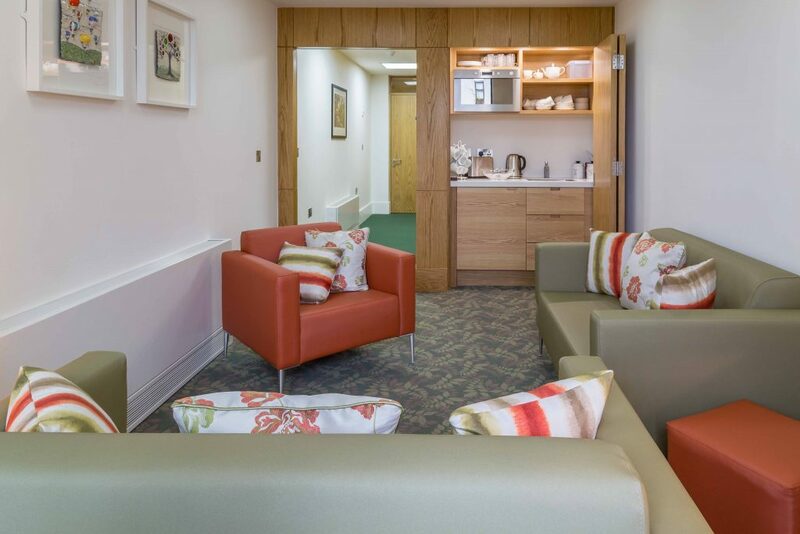 In hospitals throughout Ireland, the most unlikely of spaces have been converted into pleasant and respectful, family rooms and bereavements suites through the Hospice Friendly Hospitals Programme. Before attending the conference; Denis Casey End of Life Care Coordinator for the University of Limerick (UL) Hospital Group offered to show Dr Iain Levack and I around University Hospital Limerick and if you want to be shown around a hospital, there is no one better than someone who knows and is known by everyone! UL Hospital, Limerick is one of over 40 hospitals linked to the Hospice Friendly Hospitals Programme. 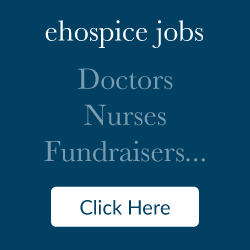 The HFH Programme is an initiative of the Irish Hospice Foundation. Established in 2007 this national programme seeks to ensure that palliative, end of life and bereavement care are central to the everyday business of hospitals. Following our visit to the mortuary we toured some of the wards in the hospital and made our way to the Intensive Care Unit (ICU). As Iain is a retired anesthetist a visit to the ICU was of great interest and it clear that the staff in the unit appreciated the improved profile of end of life care in their hospital. So, when we attended the Hospice Friendly Hospitals conference a couple of days later, we had new friends. In a nutshell the conference was an inspiration. It was a showcase of how doing something practical to improve the conditions in which we experience illness and death can make a huge difference – not only for the patient and family and staff, but for the whole institution. We were honoured to be invited to be part of this special conference which celebrated the huge achievements in palliative, end of life and bereavement care which have been made in Ireland’s hospitals. 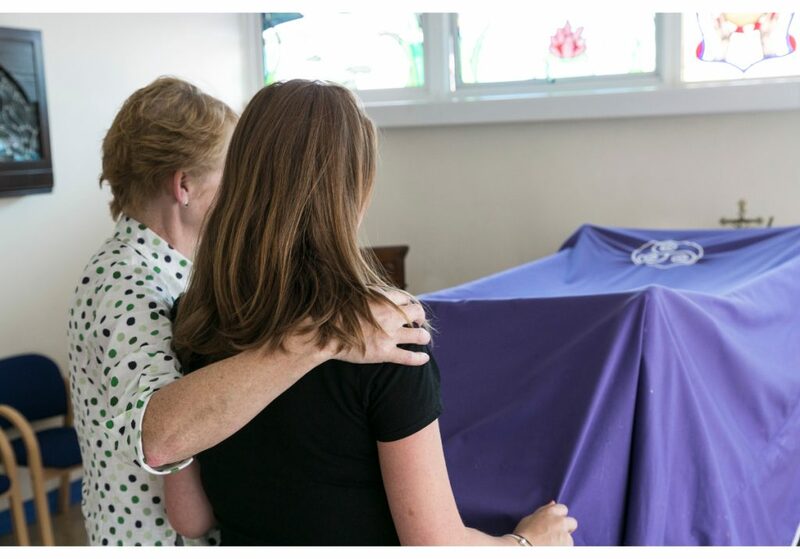 For three years our new charity Palliation and the Caring Hospital (PATCH) has offered to provide funding for a family room adjacent to the small three-bed Acute Palliative Care Unit in Ninewells University Teaching Hospital, in Tayside Scotland. After our visit to Ireland, brimming with renewed energy, I wrote again to the newly appointed Chairman of the Trust and new Nursing Director. We had an immediate reply to discuss this at Board level! So the Hospice Friendly Hospitals movement in Ireland is making a difference in Scotland! 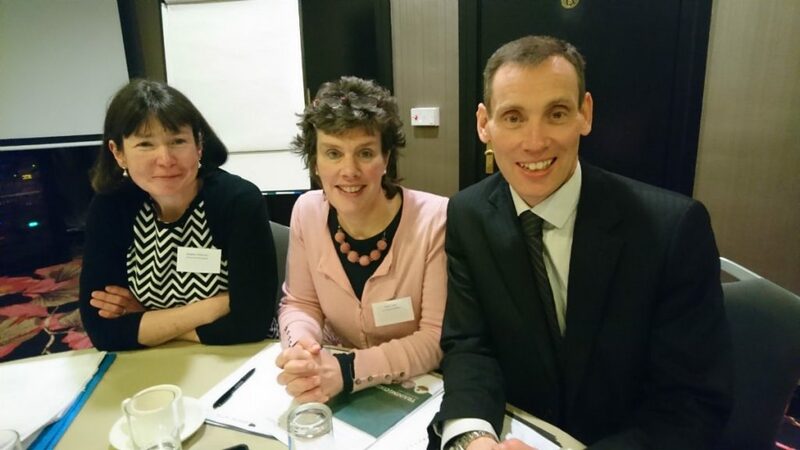 Dr Pamela Levack and Dr Iain Levack were guests at the Hospice Friendly Hospitals Conference Compassionate Care at the End of Life in Hospital; leading by example which took place at the Strand Hotel, Limerick on 27 April 2016. The event was organised by the Irish Hospice Foundation’s Hospital Friendly Hospitals Programme in partnership with the HSE and the University Limerick Hospital Group.